BELGRADE – “The negotiating process and chapters are not tailored for bilateral demands of individual countries towards a candidate. This is why bilateral platforms exist, so that this kind of conditioning could be avoided”, said Serbian Minister for European Integration Jadranka Joksimović, Tanjug reports. 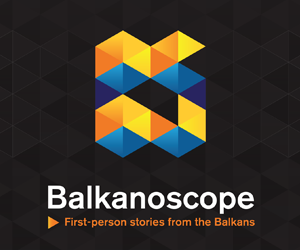 This has been a reaction to a statement of Croatia’s President Kolinda Grabar-Kitarević, who said for TV N1 that she was disappointed because of the lack of resolution for the issue of missing persons, and added that the Enlargement Strategy also sets forth the resolution of bilateral issues as a precondition for the accession of the Western Balkans. “Bilateral questions between Croatia and Serbia, apart from the border issues, are also the questions of missing persons and of archives, succession, universal jurisdiction and so on. I believe that the sooner the resolution of this questions is kicked off, the better, because nobody should think he can avoid this process. 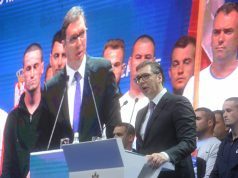 As the matter of fact, Croatia had to resolve them itself, and we will remain on this position”, said Grabar-Kitarović. On the other hand, Minister Joksimović emphasised that the term bilateral implies a two-sided process, and that, in this case, only one side, an EU-aspiring country, is obliged to fulfil obligations. “That means that some countries see the EU membership as a form of escapism, an amnesty from its own non-resolved obligations in the areas of minority rights, return of property, rule of law, reconciliation process”, assessed Joksimović.